PHILADELPHIA (WPVI) -- ESPN is trusting the process and giving their airways to Joel Embiid and company on Friday. ESPN, a sister station of 6abc, will present all-day, exclusive Philadelphia 76ers content across all its platforms during "Philadelphia All Access." The sports network will air Sixers-related programming throughout the day on SportsCenter, ESPN Radio, First Take, ESPN.com, ESPN social media, and more. 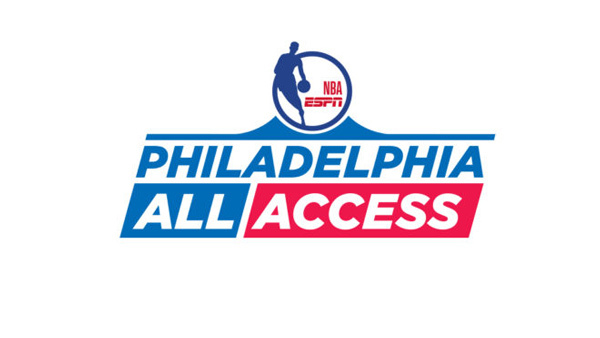 "Philadelphia All Access" will culminate with ESPN's national telecast of the 76ers vs. the Oklahoma City Thunder game at 7 p.m. The telecast will be exclusively on ESPN in the Philadelphia area. * Sixers CEO Scott O'Neil to appear on The Ryen Russillo Show (between 1-4 p.m.), plus guests on Golic & Wingo (6-10 a.m.) on ESPN Radio. And during the game, select players and coaches will be mic'd up.